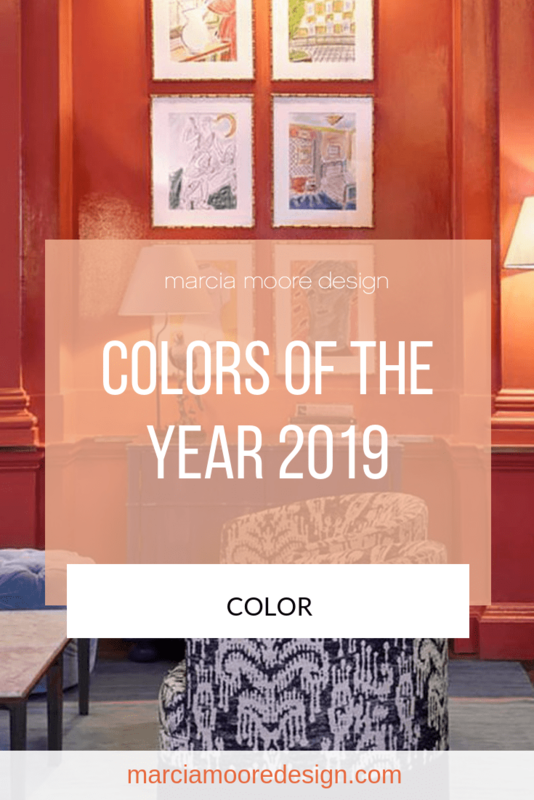 Valspar has named “Soft Rosy Mauve” its 2019 Color of the Year. Now before you start groaning about mauve being so 1982, let me assure you this 2019 version is nothing like its dated cousin. And even those like me who tend to gravitate toward brighter colors, appreciate the soft elegance of this blushing beauty. 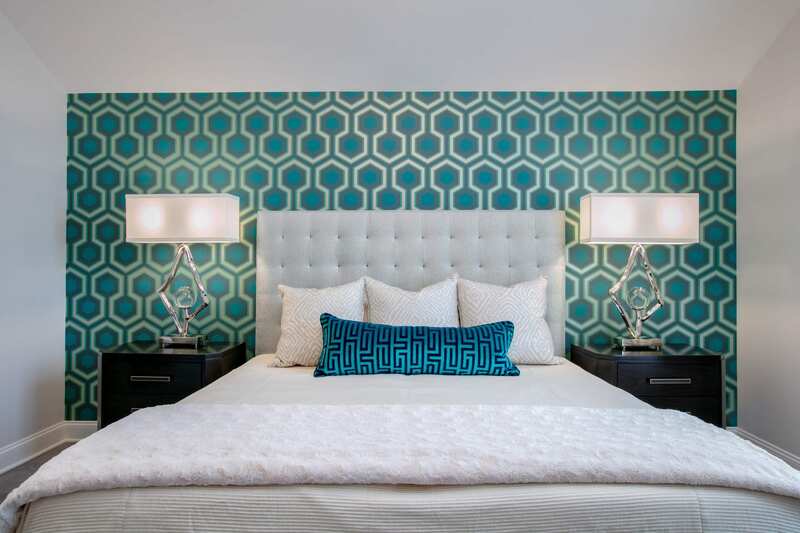 It’s chic, sophisticated, and refined, and it’s trending in both interior design and fashion this year. 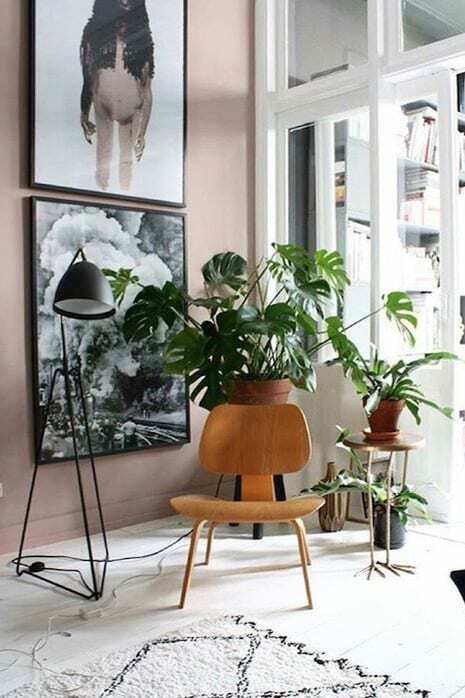 This pinkish beige is an ideal backdrop for other soft, light hues, such as gray, cream or camel, but it’s also beautiful paired with rich, bold colors, such as deep plum, navy or chocolate brown. 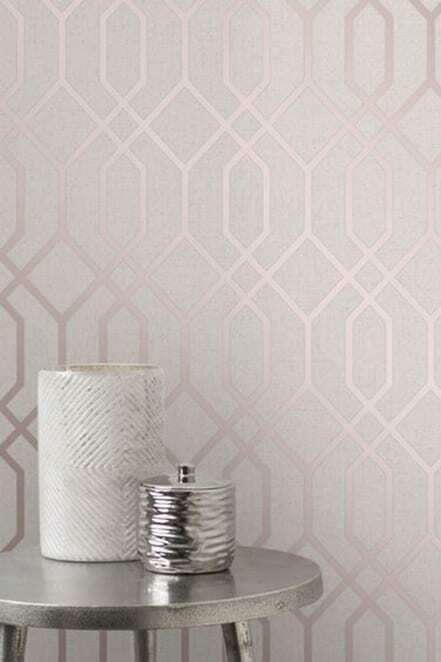 On the walls, soft rosy mauve wraps a room in a gentle loveliness. 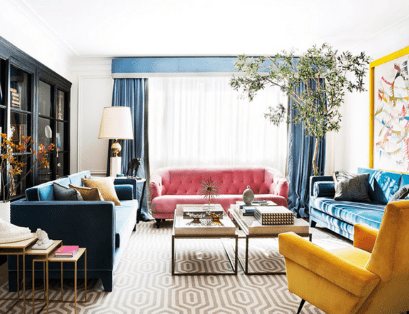 On furniture and accessories, it can be an unexpected and welcome change of pace. 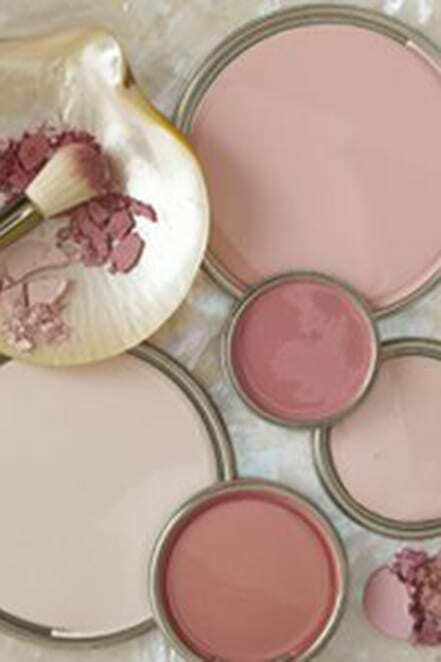 Soft Rosy Mauve or “Blushing Bride” as it’s called at Lowes, is a subtle shade that packs a powerful, yet understated punch. 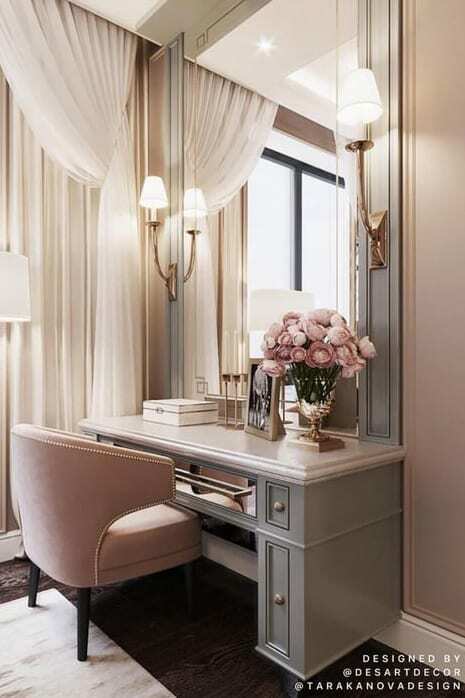 Soft rosy mauve can be chic, flirty and feminine making it a perfect choice for a dressing room. 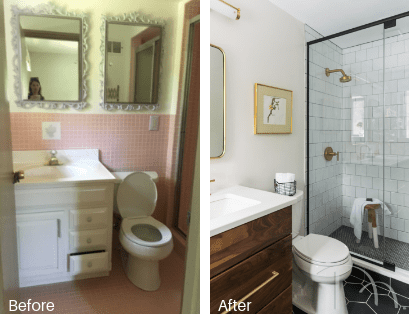 Not ready for rosy walls but want to embrace the trend? Some woods and marbles have a pinkish tone that can add a subtle rosy charm, like in this kitchen. 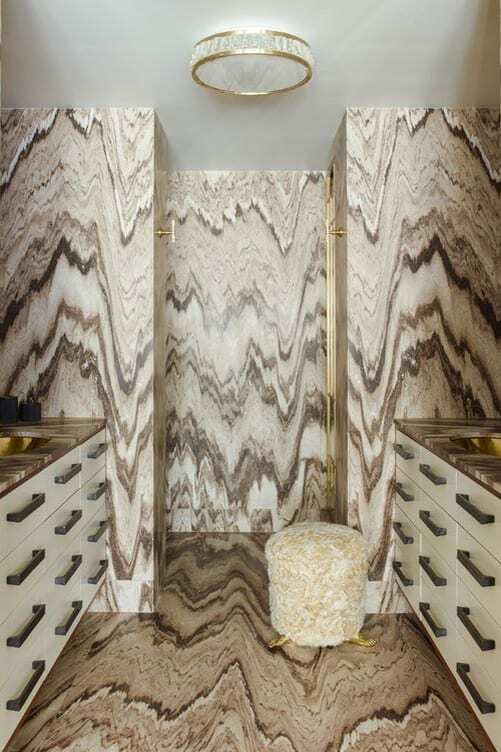 If you’re ready to go all in, choose a patterned marble with a soft rosy palette and wrap your whole room in it! 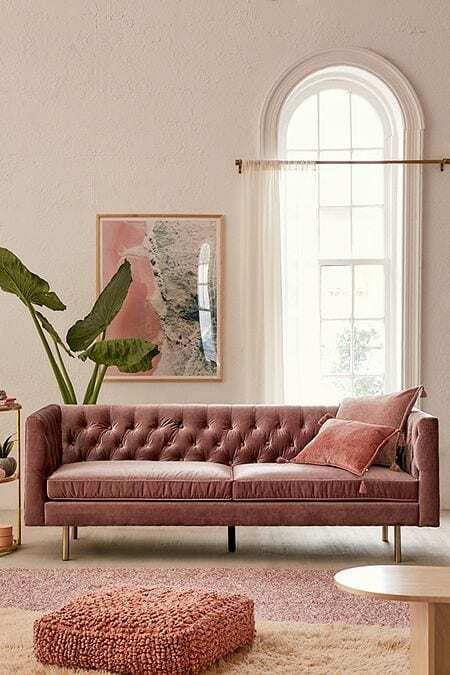 This blushing beauty is a fresh and beautiful backdrop in a contemporary setting and is luscious and classic in a traditional room. 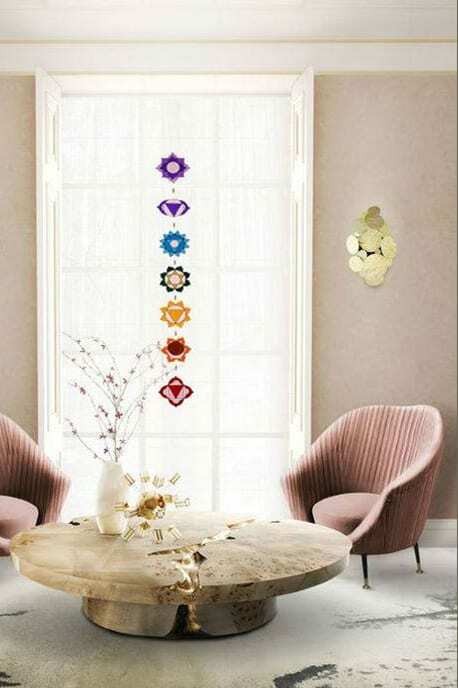 It can make a bathroom seem ethereal and otherwordly or grounded and organic. 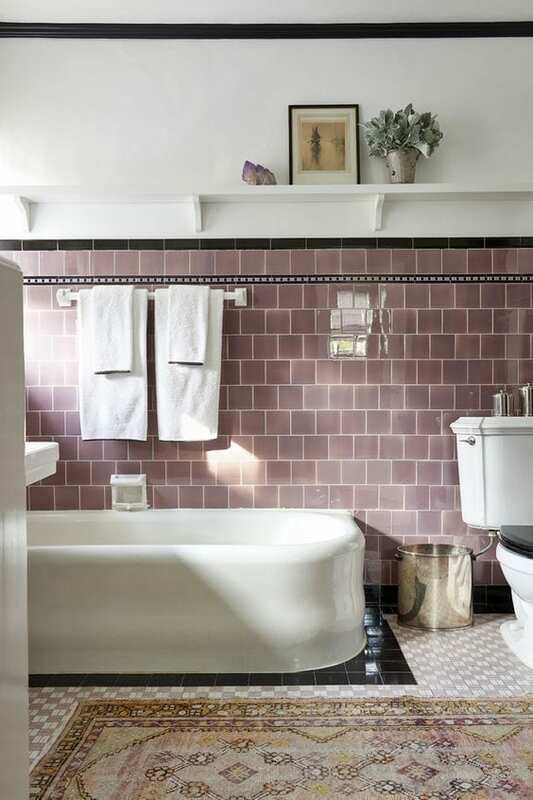 In the second photo, touches of soft rose in the rug blend beautifully with the truer purplish mauve tile on the wall. 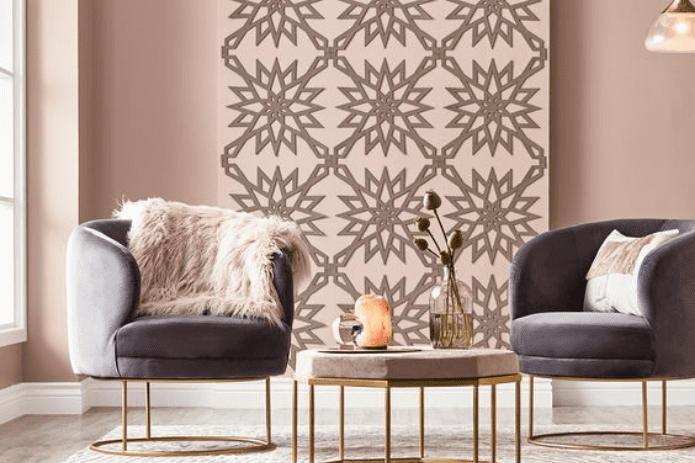 Soft rosy mauve adds warmth to a boho chic or contemporary space and is a lighthearted foil for more organic elements, such as stone and metal, or textures, such as velvet and leather. 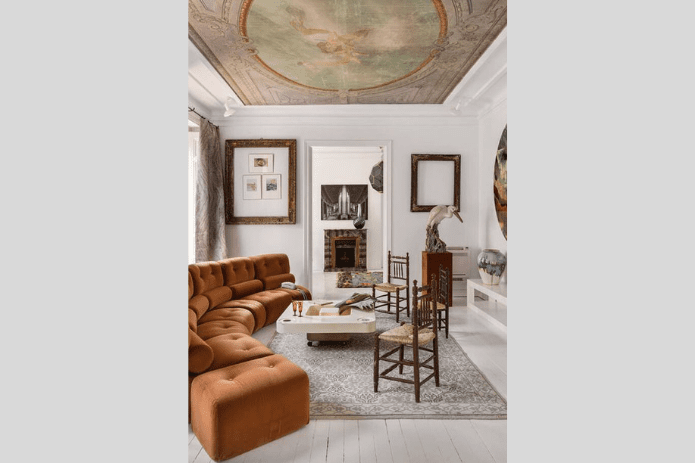 An intricate Old World fresco done in a soft palette of rosy mauve tones is a classic cap to this more contemporary room. 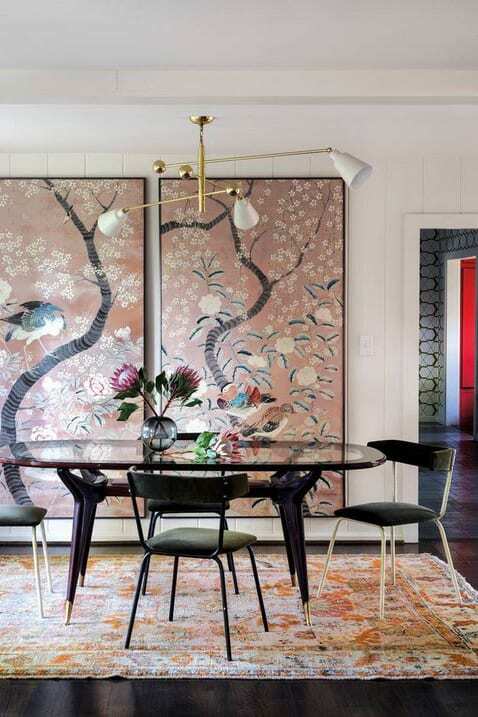 Touches of black add sophistication and balance to a pink palette. Soft rosy mauve is sink-in sumptuous in velvet and faux fur. In the first photo, several shades of rose blend beautifully to create tone-on-tone rosy perfection. 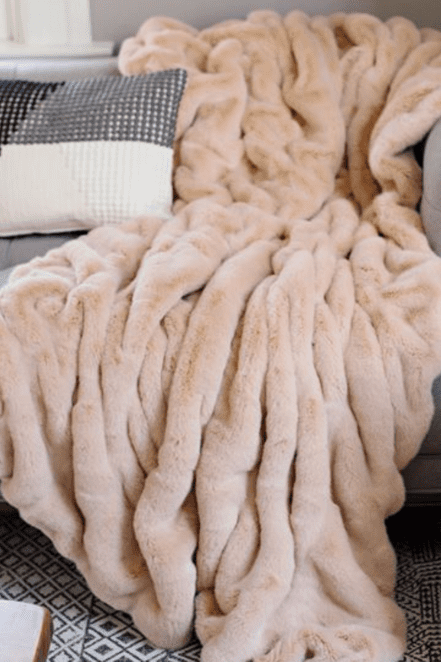 And who wouldn’t love to wrap themselves in this gorgeous blush faux fur throw? 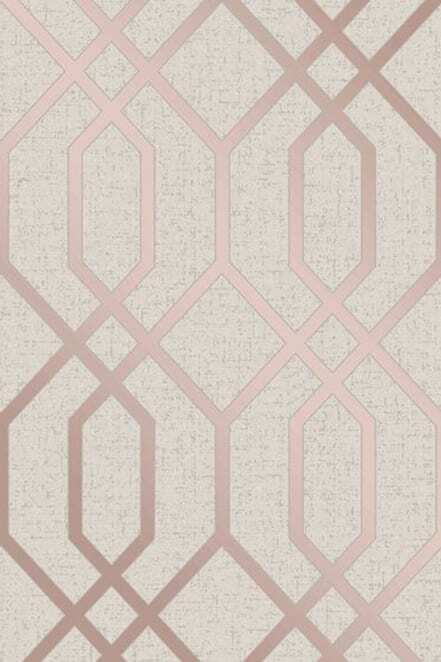 The whispering hue makes a classic geometric wallpaper fresh and subtle, and even a little glittery. Of course, for a nursery or child’s room, you just can’t go wrong with weaving soft rosy mauve into your palette. 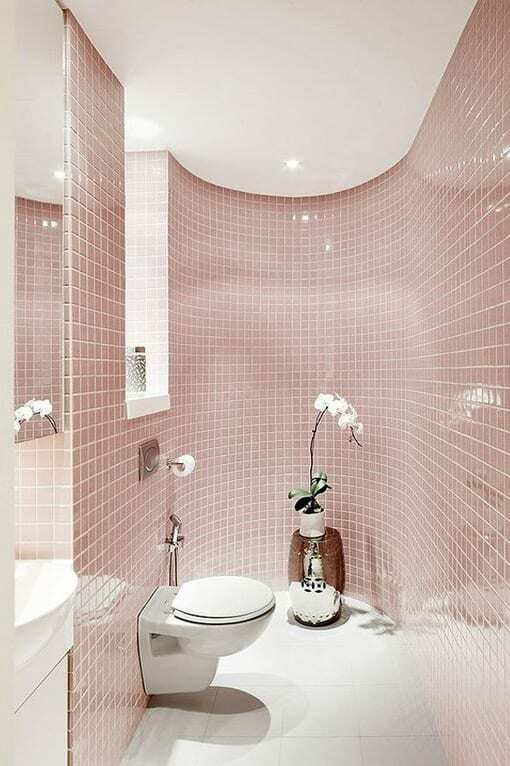 It’s like giving your room a dusting of the subtlest pink for an all-over glow. 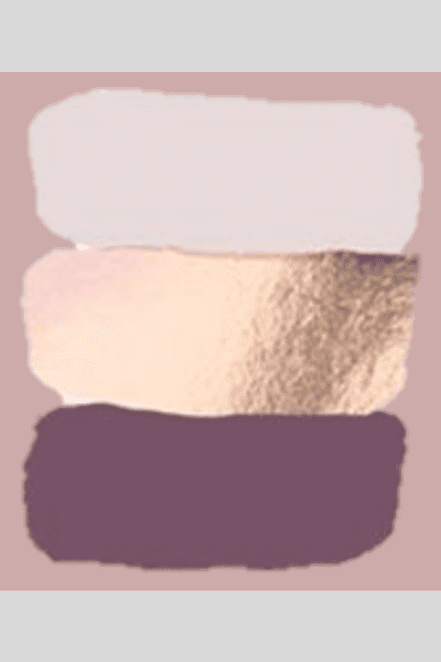 Soft rosy mauve is a stunning partner for bolder hues, such as plum, gold and black. 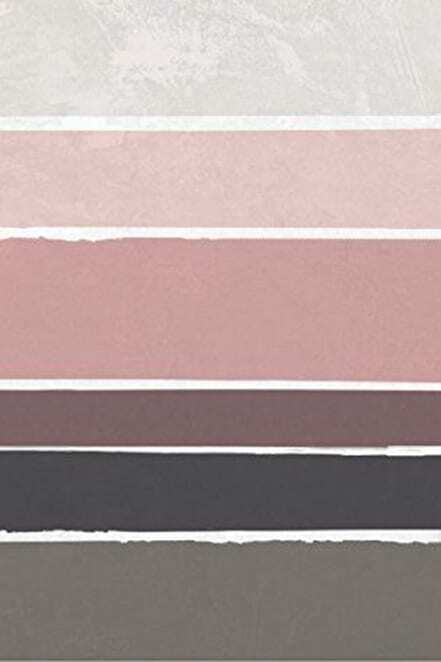 If you aren’t ready to go bold just yet and leave gray behind, rest assured, soft rosy mauve and gray are naturals together. 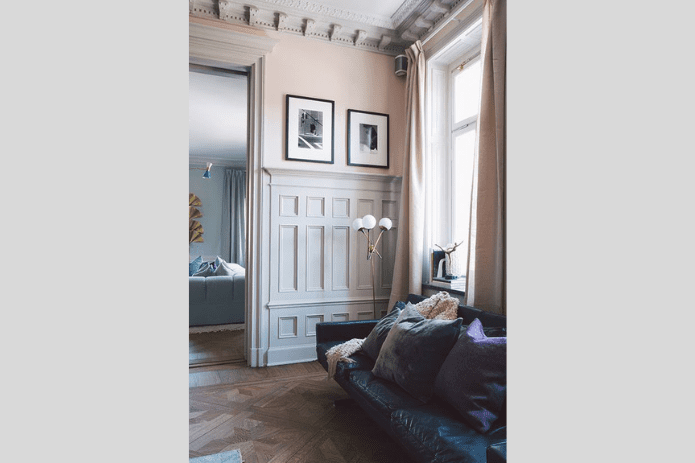 This magnificent gray wainscoting grounds a halo of soft pink that encircles this beautiful room. So what’s the verdict? Are you crushing on blush? 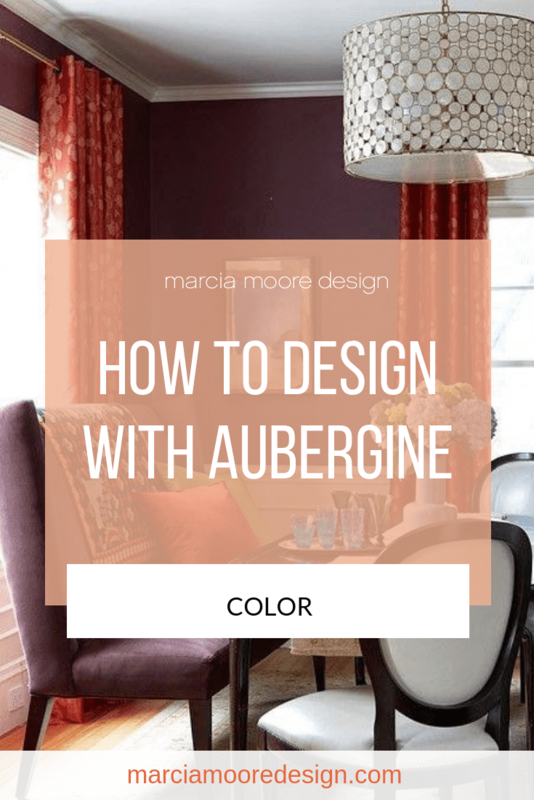 Is soft rosy mauve a color you’d like to try in your home? Let us know in the comments below. 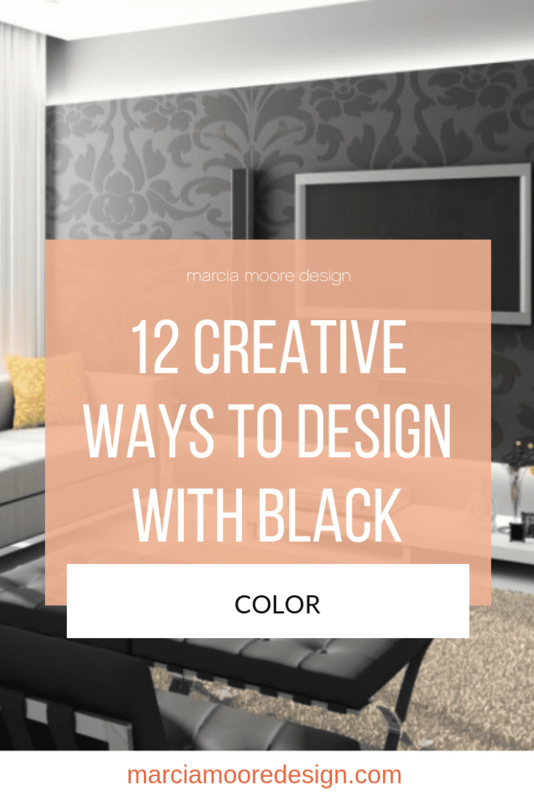 Building a color palette is just one of the many services we offer as part of the design process. Give us a call at 314.395.1114 or CLICK HERE, and let’s get started on your design project today! P.S. 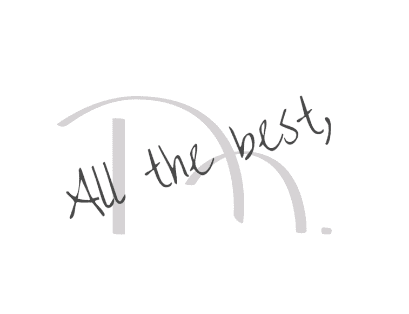 Subscribe to our blog and receive our newest post directly to your inbox every Wednesday! Like this post? Here are a few more you might enjoy!